I made this adorable DIY headboard, using 3D wall panels, for my son’s bedroom. Hey friends! Before I start in on this post about my DIY headboard today, I just wanted to say that all of the people in Houston and surrounding areas who have been and are being affected by Hurricane Harvey are in my thoughts and prayers. 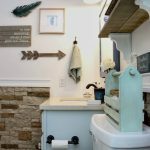 A member of my tribe, Joy, from The Aspiring Home lives on a street that has been affected and is being affected by tornadoes and flooding, so if you get a chance, pop over to her blog and give her some love. What is happening there is devastating. Some of you who follow me on Instagram may know that I have been working on making over my nine year old son’s bedroom. I am still not finished with this space, but I am slowly chipping away at it. I was able to complete one project that I wanted to share with you today. 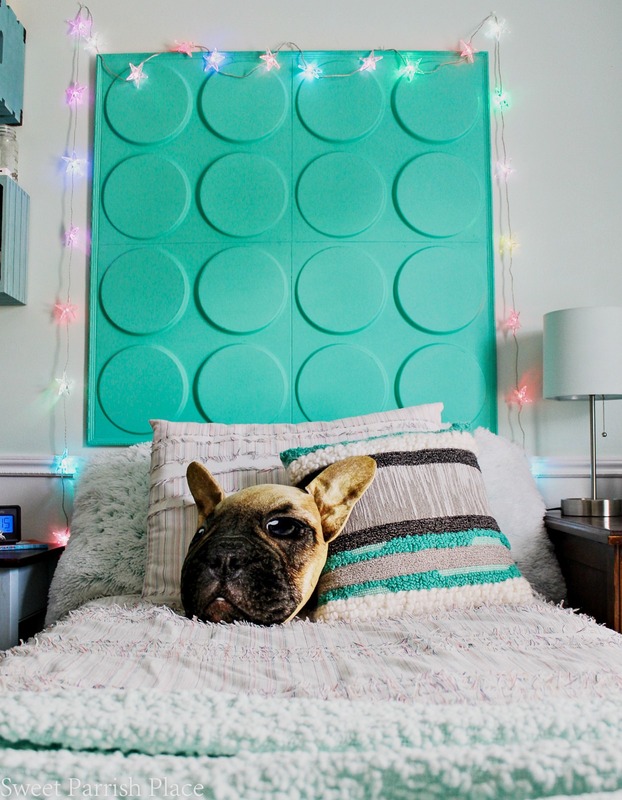 I made a DIY headboard for his bed using 3D wall panels, and it turned out really cute! It was super easy to do, and I’m also going to share a tutorial here today. Below, you can see the headboard in progress, along with the box of 3D wall panels that I used for this project. Aren’t those raised circles fun? I thought they were perfect for a children’s bedroom. 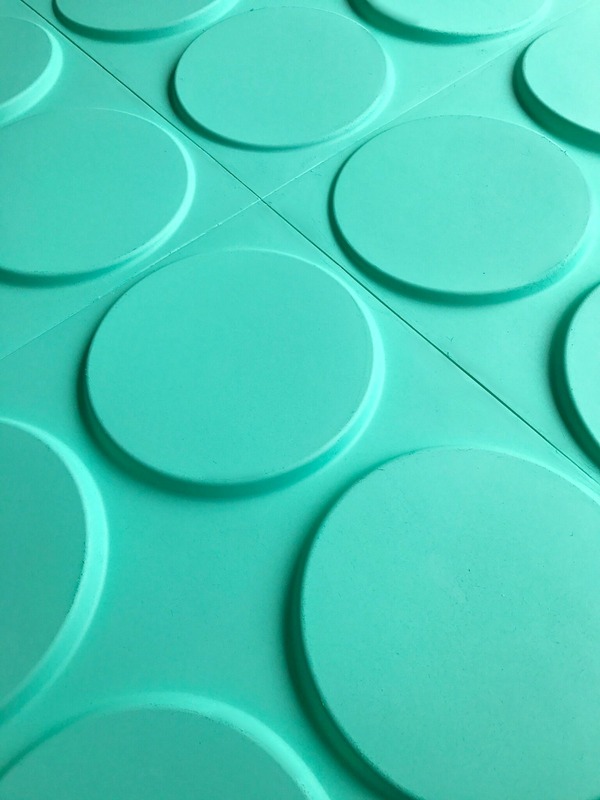 I received enough of these wall panels to cover a 3 ft. x 9 ft. area, but I only needed to use 4 of them for this project, so I have enough left over to do another project with them one day. The first thing I did was to go to Home Depot and choose a thin piece of plywood to use as a base for my 3D Wall panels. They cut it to size for me in the store. 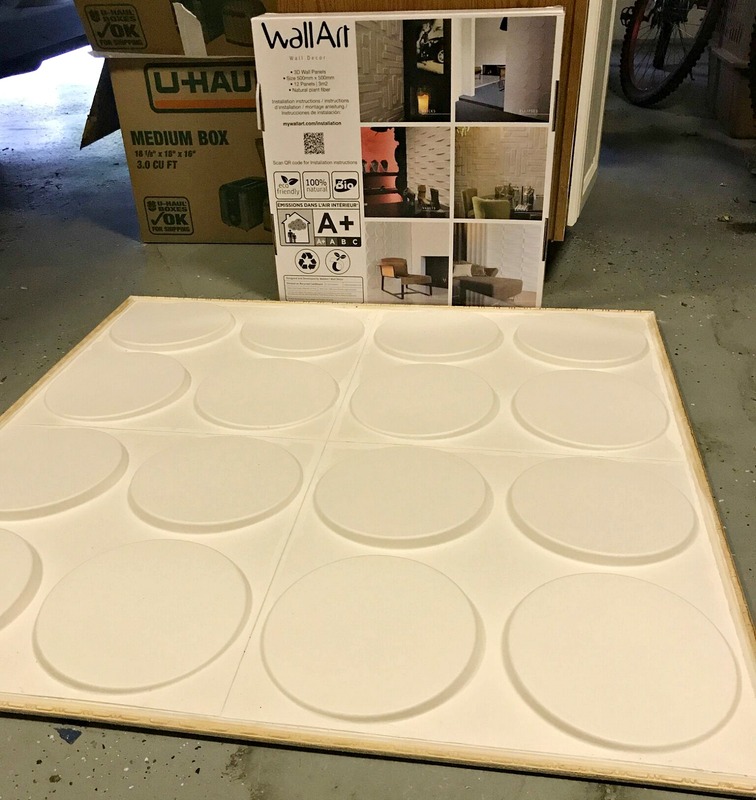 Adhere your 3D wall panels to the plywood using your adhesive. After each of them is adhered, you will want to place some heavy items onto them to weight them down until they are dry. I used small paint cans. 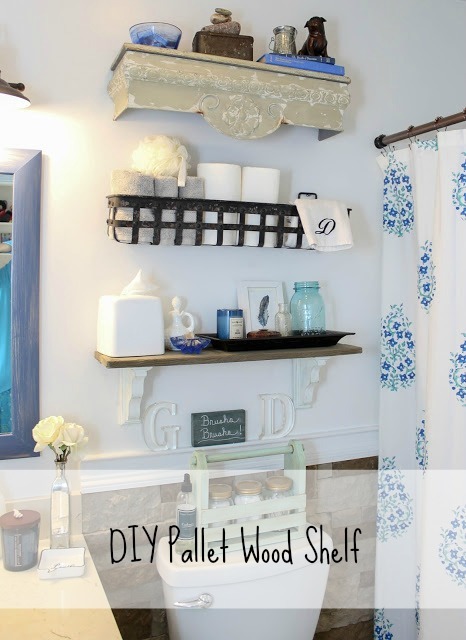 After your wall panels are dry and adhered to the plywood, you will want to add your trim. I went to Home depot and just walked around the trim aisle and chose a small thin piece of trim that I liked. Use your miter box and saw to cut the edges of the trim at a 45 degree angle. ( I just held my two pieces of trim next to each other and marked which direction the cut should go with a pencil. Attach the trim around all four edges of the wall panels using the same adhesive you used for the panels. Essentially, you are gluing the trim to the plywood, because there will be a small lip of plywood all around the edges. Allow time for the glue to dry well. I waited for at least an hour. Caulk between all of the spaces between each wall panel and all of the trim on all four sides. Allow caulk to dry before painting. Paint your headboard- like I said, I used a paint sprayer, but you can hand paint it if you don’t have a sprayer. With the 3D wall panels, it was much easier to spray it. I painted on two coats of paint, and it covered surprisingly well. I figured the paint might soak into the wall panels and it may take several coats, but they took the paint very well. After the paint is dry, the headboard is ready to be hung. Hang your headboard on the wall using a french cleat. This headboard is large and in charge! If you will notice in the photo below, there is a chair rail that goes around the room, so I had to hang the headboard right above it. I would have preferred to hang it a tad lower if it weren’t for the chair rail. But it worked out just fine because when you make the bed and the pillows are on the bed, it looks good. We bought this string of star shaped lights from Ikea. I kept it to just a few photos for this post, because I really wanted to share my DIY headboard with you today, but I’m still working on the room, so it’s not ready yet for a full reveal. And right now the room is kind of on hold because school started and so did cross country season, so I’ve been busy. But I’m hoping to get back to work on it very soon! I like the way this headboard turned out, and my son loves it! It was quite easy to make, and it pops a big punch in the room! The people who have seen it in person say it looks like I could have bought it in a store, so that made me feel really great about it. 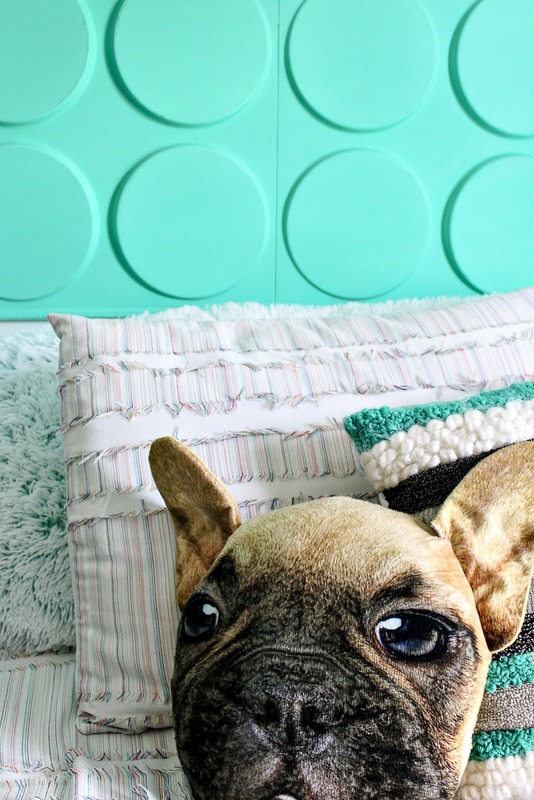 Have you ever made a DIY headboard? Love the 3D panels. Looks very neat, esp. with the little twinkle lights. Visiting from Talk of the Town party. I so love the concept of headboard for children’s room that adds accent to the room as a whole.You can use as many colors as what your children likes. Thank you for sharing. This headboard is looking cute. Nice post. Thanks for sharing this. 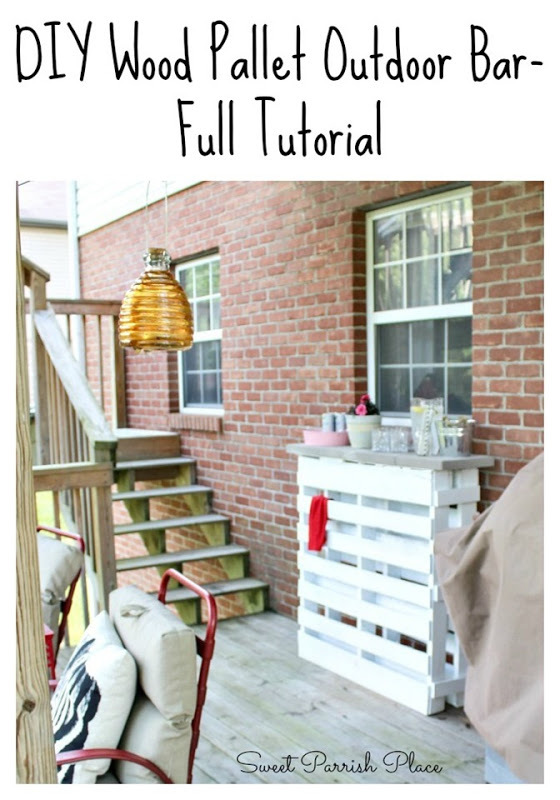 Great looking headboard and good tutorial. 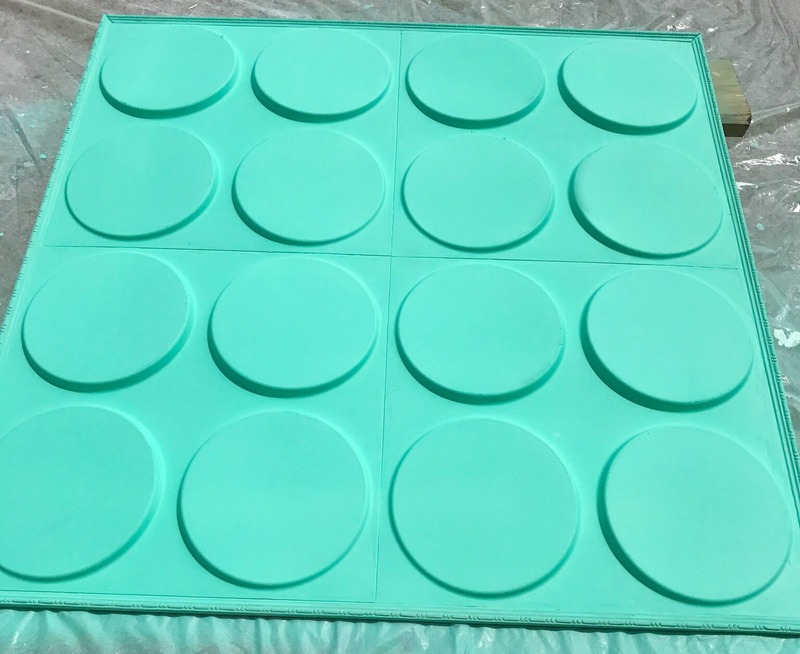 I was trying to find these panels on the CSI site but could not find these exact ones…can you point me in the right direction? Hi Michelle, I will keep looking, but so far I can’t find them. It’s possible they don’t make them anymore? I’ll check into it! What a great idea for a headboard! I’ll be featuring this tonight at Merry Monday! Wow! What a fun head board! Great tutorial!